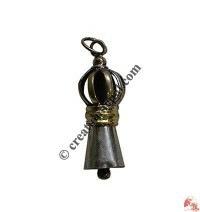 Creation Nepal offers various types of Buddhist amulets and other Dharma related amulet that contains different Mantra and symbols for good luck and prosperity. 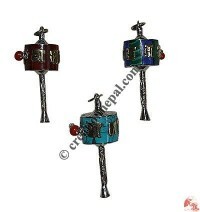 The Nepalese amulets are supplied in the form of pendents those are made out of white metal, brass, bone and resin materials. 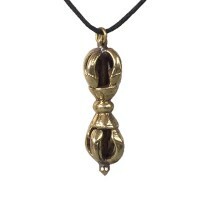 Explore the unique and rich hand crafted Nepal made amulets below. 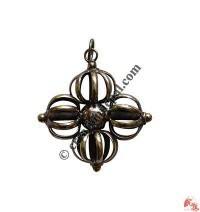 Most of the Buddhist amulets or pendents reflects the Tibetan Buddhist symbols like Om Mani Padme Hum mantra, Om mantra, the Buddha eyes, endless knot, Dorje etc. 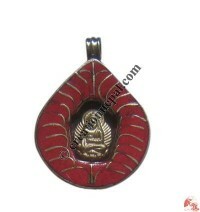 These small amulets contains Tibetan auspicious symbols and tiny size statues of different deities. 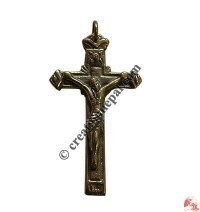 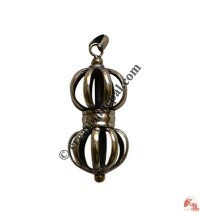 Besides the Buddhist amulets, Creation Nepal also offers Hindu amulets like Om mantra amulets and Ganesha amulets, Christian amulets like Cross amulet. 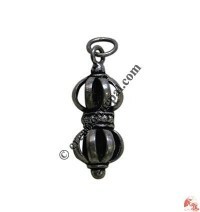 These amulets are being used as the tool of to gain the energies or the power of Buddha or any kind of deity that is worn as the form of pendent or necklace. 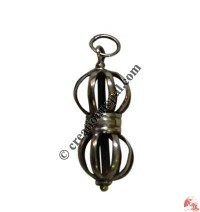 Find some of the Nepalese pendents like Prayers wheel pendent, Beads decorated Buddha icon pendent, Ganesha pendent, Tara resin pendent, Kubera resin pendent, Shape cutting Chorten image pendent, Tibetan Om mandala pendent, Brass mantra tube pendant, Brass Om pendant, Ganesh Pendant, Moon and cross amulet, Vajra large size pendent etc. 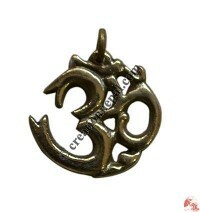 Similarly you can find different types of Peace sign pendant, Buddha-eye Amulet, Buddha amulet, Ganesh amulet, Sanskrit OM mantra amulet, Tibetan OM mantra amulet, Kalachakra amulet, Bhairab amulet, Endless knot art amulet, Wheel OM amulet, Buddha eye wheel amulet, OM and Buddha eye amulet, Double bajra pendent, Tiny Bajra-bell pendent, peace sign pendant, conch pendent, Newari round Amulet etc. 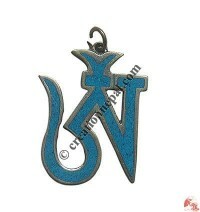 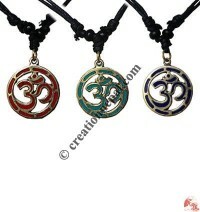 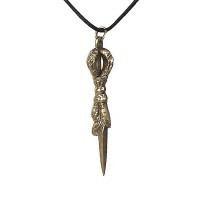 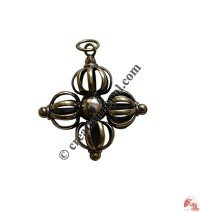 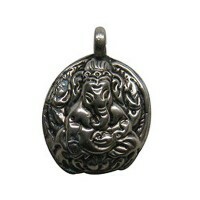 amulets online at Creation Nepal.